You can expect your appearance to change as you age, but some people experience signs of aging a little earlier in life than anticipated. For example, did you know that lips can begin to appear thinner even before your 30th birthday? Your Redwood City cosmetic surgeons Dr. Paul Gorman and Dr. Renee Marshall at GLOW Surgical Arts are here to explain some of the reasons why lips can thin as you age, and how we can help restore their fuller look. 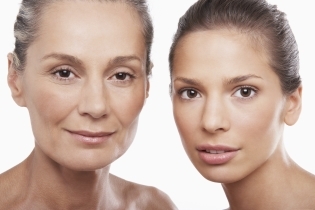 Reason 1: The amount of collagen in your skin declines naturally over time. The same phenomenon also occurs with your lips. Youthful lips stay full and plump thanks to the healthy supply of collagen and hyaluronic acid inside them. Reason 2: Genetics can make you predisposed to thinning lips. The size, shape, and plumpness of your lips are determined by heredity. If you have smaller lips, then thinning will become more noticeable at an earlier age—possibly as soon as the late 20s and early 30s, when your body begins to slow its production of collagen and hyaluronic acid. Reason 3: Lifestyle choices can make your lips thin ahead of schedule. Have you heard of “smoker's lines”? This refers to the vertical lip lines or wrinkles that appear on the face—yes, because of smoking—but also due to other habits such as puckering lips, chewing the inside of the lip, or frequently drinking out of a straw. If these lines already have developed, then drinking from a straw can make them appear more wrinkled and hasten the thinning of your lips. Some level of tooth wear occurs naturally as you age and your teeth go through their normal workload of chewing. As your teeth wear down, this also can make your lips sink in. Follow these steps at home to limit the thinning of lips. Staying hydrated is an easy way to keep your lips looking full. Drink plenty of water, while also considering a diet that is high in both protein and vitamin C—two key ingredients in the production of collagen. You can hydrate your lips additionally through the use of lip ointments and oils, such as coconut oil and sweet almond oil. Looking for a more extensive treatment option? A filler treatment like the ones administered at GLOW Surgical Arts can keep your lips looking fuller, longer. These procedures add shape and volume to your already thinning lips. Just remember that, when treating lips, less is more. An excess of filler can leave your lips looking overly puffy. At GLOW Surgical Arts, our staff can administer a dermal filler treatment in a matter of minutes, and with minimal discomfort. These treatments also can be done at a fraction of the cost of cosmetic surgery. To learn more about the ways we can enhance the fullness of your lips without surgery, call our office at (650) 241-2209 to schedule a consultation. Located in Redwood City, GLOW Surgical Arts offers expert cosmetic surgery services to patients throughout the Bay Area of California.